We were excited to collaborate once again with quirky directing collective Stylewar and the Smuggler team, this time on two new commercials for Liberty Mutual from agency Hill Holiday. 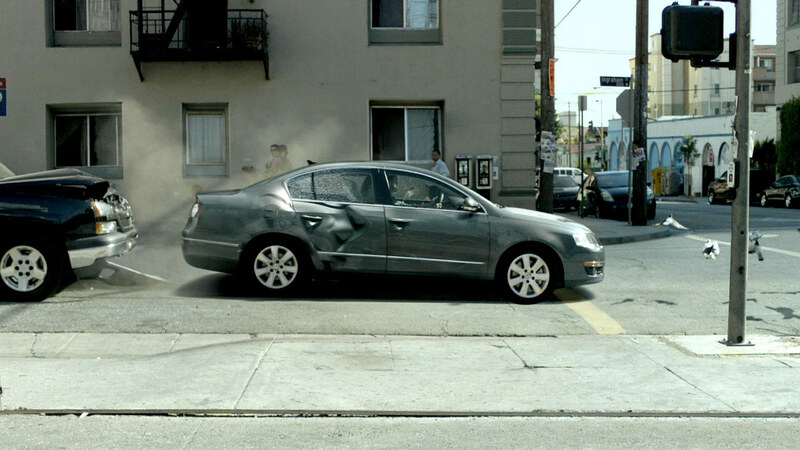 These car insurance ads feature eye catching effects which are used to convey the reassuring message that Liberty Mutual do all they can to get you back on the road again. 'Wave' contains slow motion footage of a rear end crash which was captured using four Phantom cameras . The stationary vehicle is hit from behind and the back of the car is crushed under the impact. In a surprising twist, the buckled metal and broken glass move along the body of the car in a ripple effect before popping back into place in perfect condition. The second spot, 'Trunk' sees the owner of a car that has been involved in a collision going to the boot of the vehicle and instead of pulling out just the spare tire, manages to drag out a pristine replica of his car... if only we were so lucky!